Many of you have been asking for a new slots game... and we listened! Coming soon to the Four Kings, an all-new slots machine - Treasure Trap! 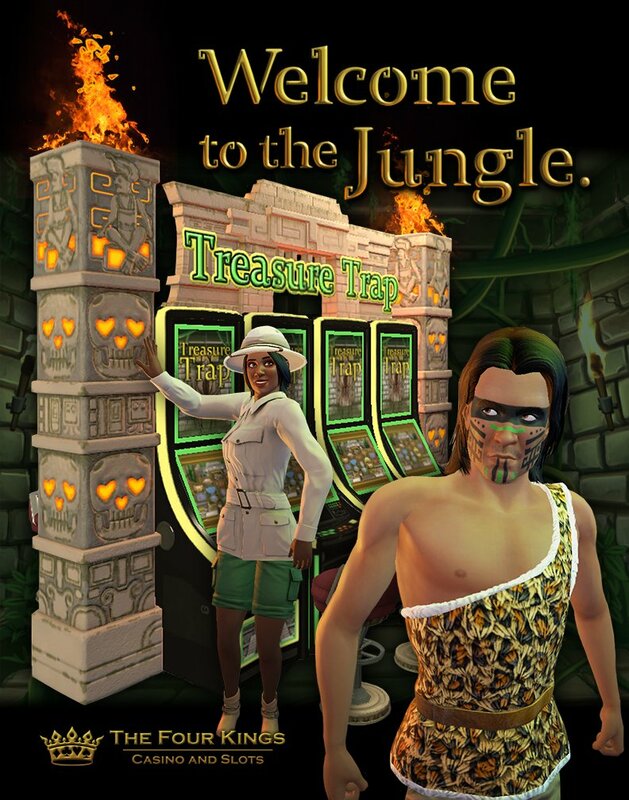 Have you ever wanted to earn chips while exploring the mysteries of an ancient jungle civilization? Soon, you can! Awesome! And from what I can tell, it looks like a honeycomb type machine. NICE! !